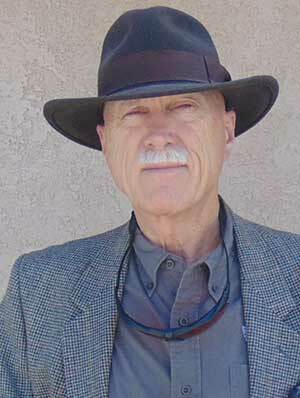 Arizona -(Ammoland.com)- Judge Robert Lasnik is a U.S. District Court judge in Seattle, Washington. He has issued a restraining order, forbidding Cody Wilson and Defense Distributed from releasing documents on the Internets that show how to make simple guns and gun parts with 3D printers. In the Defense Distributed First Amendment case, the Obama administration claimed that computer code on how to build a simple single shot handgun was a military weapon that should be regulated under International Traffic in Arms Regulations (ITAR). The regulations are designed to control the export of defense and military related technologies. The current administration noted the arms supposedly regulated are already superseded by current military organizations all over the world. There is not a military in the world that does not have access to better military technology than is made available in the computer code which the Obama administration attempted to censor. Essentially, universal injunctions allow any one of 600 federal district judges to impose their will on the United States Government. This allows anyone who wants a particular outcome to judge shop for a judge that will order the federal government to do what the special interest wishes. What was available for Judge Lasnik to hang his injunction on? The possibility of “irreparable harm because of the way these guns are made”. It has nothing to do with ITAR. The Trump administration did not allow for the code on how to make nuclear weapons, advanced military radars, or laser cannon to be released. Every release of information has the potential for “irreparable harm”. The fabric of the U.S. Constitution is based on the idea that liberty is more important than hypothetical potentials of harm. Anyone can dream up hypothetical potentials. To allow hypotheticals to rule the nation undercuts the rule of law. How the do the people bringing the lawsuit have standing? Where have they been harmed? The information that would be allowed is already on the Internets. The ability and knowledge on how to make simple firearms is already widely available on paper. People have been making guns at home for hundreds of years. Where does a single judge in Seattle obtain the power to neutralize the First Amendment for the nation based on a dubious theory of hypothetical harm? Simple answer: he DOES NOT. Read Art 3 Sec 2 Par 2 of our Constitution. The language is crystal clear and unambiguous. Go ahead, take out your copy of the Constitution and find that part, then READ it. You DO have a copy of our Constitution, don’t you? If not shame on you, GET ONE. Then READ it. the authority of the many smaller local federal level courts is already “adjudicated” and cropped. The Cnostitution, which ALL of these clowns swore to uphold and defend under penalty of perjury, clearly states that ALL matters where a STATE or several STATES are parties to the action MUST ONLY be taken up by the Supreme COurt of the US. In other words, this two bit sellout tyrant has NO AUTHORITY to even take this case. HJE is not SCOTUS. Time the Supreme Court grow some stones and sanction these usurpers. Time the House begin impeachment proceedings against any such jjudge, which would surely include that OTHER Seattle Sellout Clown Robard, who ruled in the matter “States of Washington and Minnesota vs Donald Trump”. TWO states in that one, EIGHT in the one in this article. The Founders were wise enough to realise that precisely this judge shopping would begin to happen if the range of authority for the lesser courts was not clearly limited. There needs to be a way the taxpayers can sue these judges and politicians and attorney general’s that waste time and money on these 2nd amendment attacks. They do it because there are no repercussions. They spend unlimited amounts of money and waste time that they should be using to do the job they were elected or hired for. They should loose their jobs and forced to reimburse legal expenses if there is a pattern of biased prosecution. He probably wears that peace necklace in court sessions. I’m sure Clinton is proud that he appointed this moron. This is an example of what my late brother-in-law meant when he advised me to avoid court when ever possible because the outcome may not be what you expect. He was an internationally recognized lawyer. It’s not like there’s book out there that has directions on how to make a sub machinegun in a home workshop or that 75% salt peter, 10% brimstone, and 15% softwood charcoal is widely known recipe, along with knowledge on how to mix it safely. And yes I know modern smokeless powder recipes are also known widely. What is this “weapons that could be used in war”? Who does not know that any weapon could be used in war? Pressure cookers are still readily available at local retailers as well as online. All the bomb making ingredients are readily available at your local pharmacy, feed store, hardware store, grocery store, etc. And the recipes are widely available on…. wait for it ….. yep, THE INTERNET!!! Even after the Boston marathon bombings and a couple of others. Where’s the outrage there? Not that I think pressure cookers should be outlawed but a helluva lot more damage/carnage can be done with an explosive device of that size than with a plastic single shot pistol..
Ruger makes steel molds in which they cast wax. Then the wax object is coated with refractory material. Then the wax is melted out and steel is cast into the mold. It is called Lost Wax. If the pattern was made by printing wax the expensive steel mold would not be necessary..
Maybe there is a plastic? Got a router, get a jig and do an 80% . No down load required. @rich, that solves the Second Amendment problem in a typically practical and crafty American way, but what about the attack on the First Amendment problem? That’s only one of at least three ways, counting a simpler jig for a conventional drill press, and the ~$1,800 GhostGunner. I think someone is offering a “pour your own” setup to cast a polymer AR lower in a mold. And that’s just the AR family. 80% receivers also exist for the 1911 pistol, the 10/22 rifle, and probably others I’m not aware of. Kalashnikovs can be built from receiver flats, bent and drilled for completion. Then there are the really simple hardware-store guns, as seen on the Royal Nonesuch YouTube channel as just one example. Just replace one word with the occupation force of the day. Federal judges are assigned to districts in each state and some overlap into neighboring states, that should be the limit of their authority in area and they should follow federal law and the constitution nothing else. Congress needs to institute a law against these rogue judges and get them off the bench. Any law that is unconstitutional has no standing period, This clown is an activist judge and not a real judge that upholds his oath of office. The company is a Texas company, but the libtards had to forum shop all the way to Seattle to find a liberal federal judge to issue a restraining order on something already out on the web. Who appointed that corrupt judgetard. Irreparable damage has been done to America by libcoms in lawyer suits & high school graduation robes through personal-preference interpretations of plain-english constitutional rights, i.e. shall not be infringed. PEOPLE: Just to to http://www.CodeIsfreeSpeech.com and download for FREE all 10 3D-printer gun blueprints! I did, and I have no such printer! It took about one minute to get them all. Support our First Amendment against Judicial and Fakebook censorship!